We're going to have to rethink the idea of a pop-up. They're getting way too permanent. Take Don Peppino's in Oxford Street, which has taken a 12-month lease on what was Paddington's Grand Pacific Blue Room. That's longer than some so-called permanent restaurants last. Don Peppino's doesn't look like a pop-up; nor does it feel like one. Nobody's sitting around on milk crates drinking out of jam jars in the dark in order to distract themselves from the emptiness of their souls. Nobody is skipping on the detail, or treating it as temporary. With its table service, considered drinks list and neo-nonna cooking, it actually feels like it's here to stay. 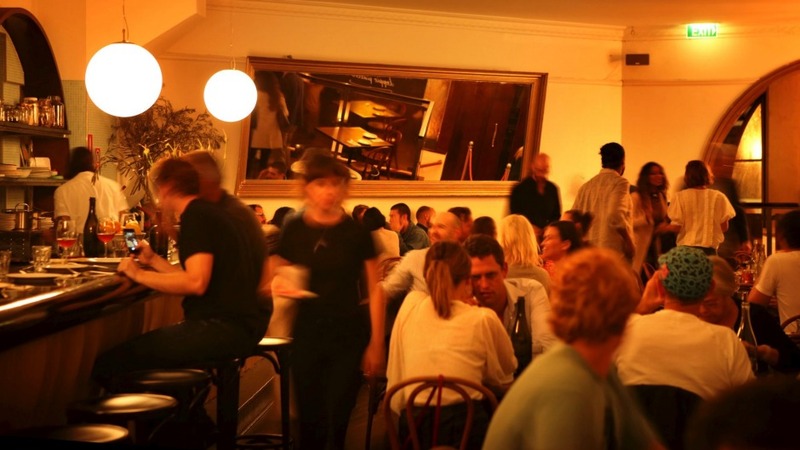 A year's lease is a big commitment for owners Daniel Johnston, Harry Levy and Tom Merryweather of Full Circle cooks' collective, a group renowned for its short-term residencies at Chippendale's The Eat In, Leichhardt's Alfio's and Potts Point's Wilmer. Buy hey ... you have to grow up sometime, and cooking Italian food in a cool space with your mates looks like a great way of doing just that. At the top of the neon-lit stairwell, empty but for a dead branch and an industrial mixer, is a wedge-shaped, 60-seat restaurant of wooden and marble tables and bentwood chairs, flanked by a long handsome bar and giant mirror that makes the room feel bigger than it is. The menu is hand-written daily because it changes daily. Like, completely. You'll find half a dozen snacky things to start, two pasta dishes, one meat, one fish, a couple of vegie dishes, cheese, and four desserts, none of which might be what I've eaten here, so good luck with that. 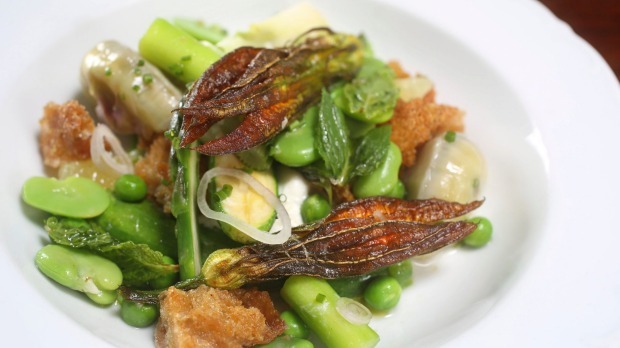 I'd pay them to keep the pane fritto with anchovy ($5) on the menu. This chewy torpedo of yeasty, puffy fried dough topped with a fleshy Ortiz anchovy and squish of tomato sugo – close cousin of Naples' pizza fritta – is as moreish as it gets. 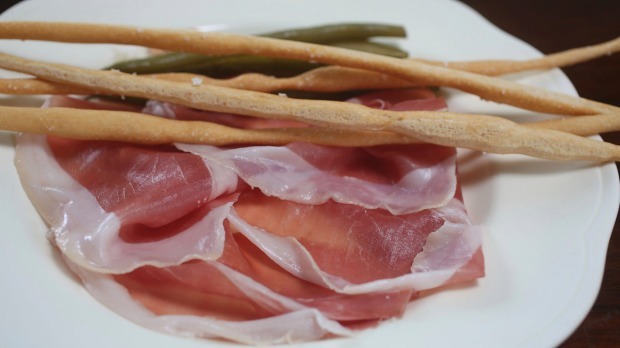 Freshly sliced Tosini prosciutto di Parma comes strewn with pickled green beans and topped with long crisp spindles of hand-rolled grissini ($16); a joy. There's clarity and freshness in both a simple dish of fresh albacore crudo dressed with zillions of crisped capers and parsley oil ($16) and a pretty insalata primavera ($14), of broad beans, artichoke hearts, crusty chunks of sourdough and fresh goat's curd that's half-way to panzanella. But their main game is pasta. 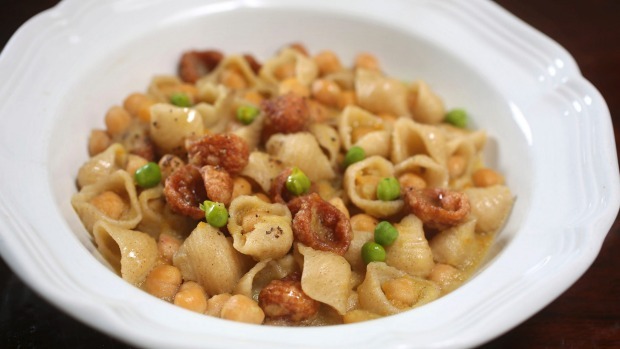 If there's a Pugliese-inspired dish of chickpea pasta shells, chickpeas and crisp-fried pasta called ceci e tria ($21), do it. Or a house-made bucatini, just-sauced with a most delicious rubble of duck and pork ($24). If there isn't, no problem; I doubt you can lose. Thursdays are gnocchi nights and could feature comfort-food clouds of semolina gnocchi – like souffle pikelets – in a Tuscan peposo beef ragu ($19) that leaves the warm bite of pepper in your throat. Tiramisu, panna cotta, cheek of mango, glass of Averna or Montenegro? 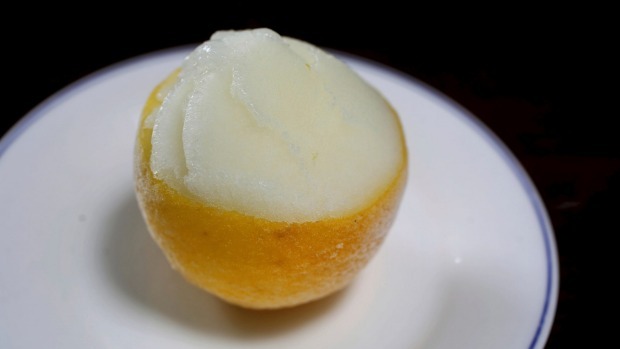 Fine, but it's all about the sharp sweet lemon sorbetto served in a half lemon ($9), no argument. What a cool joint. Super-simple, respectful Italian food that tastes Italian, good house wines by the jug, and staff who don't treat the place like a pop-up, but try to make a connection, as if you're likely to come back. Which of course, you are. Vegetarian: Pasta, salad, and a couple of dedicated seasonal veg (charred cabbage, asparagus, broad beans). Drinks: An 18-strong, natural-driven, Italian-inspired wine list with good-value house wines and a trim list of essential cocktails and digestive. Still or sparkling water $3 a head. Pro tip: Add a side of garlic bread ($4) that re-writes the soggy cliche.